When friends and family members learn of your mesothelioma diagnosis, they may offer well-intended nutrition advice, including suggestions to follow a fad diet. While fad diets have been around for hundreds of years and exhibit remarkable staying power, that doesn’t make them right for someone with mesothelioma. Proper nutrition is a critical component of mesothelioma treatment. You need fuel to heal, maintain immunity and rebuild your body during and after treatment. Fad diets can fail to provide the right balance of fuel. The original ketogenic diet — often referred to as the “keto diet” — provides 80 to 90 percent of calories from fat. The goal is to force the body to use only fat and ketones, the byproduct of burning fat, for energy. This is called ketosis. Carbohydrates must be strictly controlled. Eating just a few too many grams of carbohydrate can prevent ketosis. 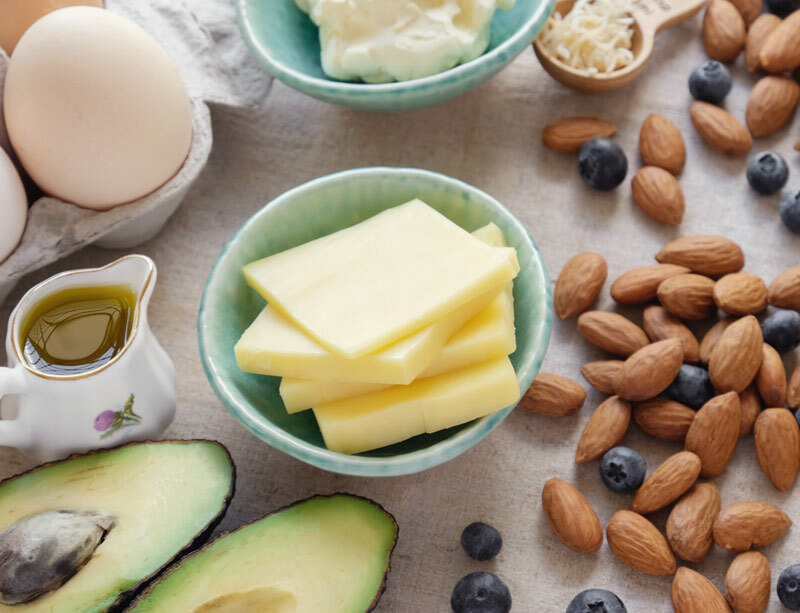 You may end up with an unbalanced, very high-fat diet that isn’t even ketogenic. Researchers are investigating this nutritional approach, but there aren’t enough data to know which cancer patients may benefit from the diet and who should avoid it altogether. Investigators have reported high dropout rates from ketogenic diet studies due to difficulty following the required eating plan. This is especially true for cancer patients who may not feel well. Side effects of this eating pattern include constipation, fatigue and muscle cramps. Many people lose weight rapidly on a ketogenic diet, which can hinder mesothelioma treatment. For many people, being vegan is a lifestyle rather than an eating plan. Vegan diets exclude all animal products such as dairy, eggs, meat, poultry, fish, shellfish, gelatin, honey and anything derived from animals. A well-planned vegan eating pattern can reduce risk of heart disease, diabetes and hypertension. However, it is not a good choice for many people undergoing cancer treatment. The most common nutritional problems for mesothelioma patients include consuming too little protein and too few calories. Vegan diets can worsen these issues. Plant protein is bulky. Beans provide protein as well as complex carbohydrates and fiber. Under normal circumstances, this is a good thing, but with mesothelioma, you fill up before getting enough protein. Vegetables and fruit also provide a large volume of food with fewer calories. Again, you can feel full before you’ve eaten enough to support your body’s ability to tolerate cancer treatment. Cleanses are promoted as a way to remove toxins from the body. A cleanse won’t do that, but it may remove money from your wallet. Commercial cleanses can require expensive juices and powders, none of which show proven health benefits. Home-prepared cleanses may cost less, but they are not shown to improve health, either. A dietary cleanse will leave you short on calories and protein, contributing to fatigue and weight loss. In fact, many cleanses are promoted for weight loss. If you’re in active cancer treatment, losing weight rapidly can be harmful. People with mesothelioma often require more protein and calories than usual to meet basic nutrition needs, withstand cancer therapy and recover. Because cleanses eliminate many common foods from the diet, you may have trouble getting enough to eat, making it harder to receive your treatment. The typical American diet provides 45-50 percent of calories from carbohydrates, and most people are accustomed to meeting around half of energy needs with carbohydrates. This is why a low-carbohydrate diet looks very different from typical fare. If you’ve never followed this type of plan, learning to eat this way during cancer treatment may be even harder. Mesothelioma and its treatment can cause taste changes, fatigue, early fullness and nausea. To cope with these changes, many people gravitate toward bland carbohydrate foods such as noodles, crackers and toast. Intentionally restricting only the appealing foods can leave you unable to eat much at all. Malnutrition is associated with more severe treatment side effects and can make it harder to complete mesothelioma therapy as planned. Fasting refers to voluntarily withholding food for a specified length of time, but calorie-free liquids, such as tea, black coffee and water, are encouraged in nonreligious fasts. Going without calories for longer than normal may change how your body uses medication, including chemotherapy and targeted therapies. If you have diabetes, fasting may cause dangerous blood sugar lows. For some cancer types, fasting may worsen an already challenging situation. Many patients with malignant mesothelioma experience unintentional weight loss before treatment begins. Fasting may worsen treatment side effects by exacerbating pre-existing malnutrition. If you have lost weight without trying, this is a red flag your body is experiencing severe stress, and fasting will not help. Researchers are studying fasting for cancer patients, but they are a long way from proving the approach improves quality or length of life in people with mesothelioma. When it comes to nutrition, what works for one person with cancer may not be right for someone else fighting the disease. Make eating well a priority. If you are losing weight without trying or having problems eating enough, ask to see a dietitian. An experienced cancer dietitian can develop a nutrition plan best suited to your needs. Appleby, P.N. and Key, T.J. (2016). The long-term health of vegetarians and vegans. Proc Nutr Soc, 75, 287-93. DOI: 10.1017/S0029665115004334. Le, L.T. and Sabaté, J. (2014). Beyond meatless, the health effects of vegan diets: findings from the Adventist cohorts. Nutrients, 6, 2131-47. DOI: 10.3390/nu6062131.